What better way to brighten up these cold winter days than to add some sparkly jewelry to your wardrobe! There are many jewelry trends during the winter that we love but we have a few favs. Below we have listed some of our favorite winter jewelry trends. Pearls are the perfect pieces to add to your winter wardrobe. They are simple and elegant. Pearl studs will go with every outfit... be it a date night or a casual dinner. Honora pearls are gorgeous and have a piece for every wardrobe style! Stackable bracelets are now in style. You can add them to dress up a sweater or stack them up for a party or date night. Jude Frances has many different options of stackable bracelets. Adding a pop of gold and silver contrast brightness up any outfit. 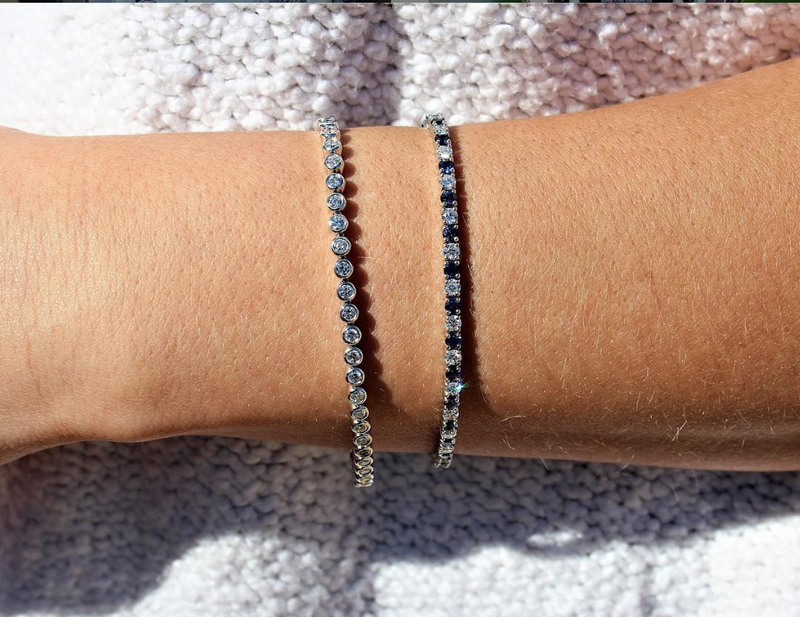 We love how this stack of bracelets pair perfectly with this sweater. Jude Frances pieces are fun and stylish to add to your winter wardrobe. They transition well from your work wardrobe to an evening out on the town. Diamonds! Of course these will go with any outfit anytime. Diamonds will always be a girls best friend;) The fire and sparkle of these all time favorite gems take the chill out of any winter day. They have the power to brighten up every outfit and smile. A girl can never have too much bling! Inside out hoops go with any winter outfit. You can always dress up or dress down diamond bracelets and rings. Don’t forget to add diamonds to your winter wardrobe. 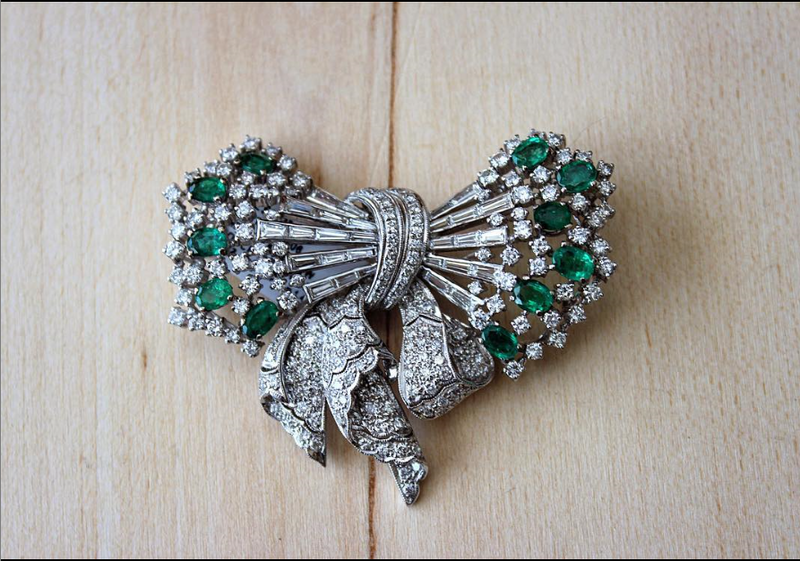 Estate brooches are a treasured addition to any jewelry wardrobe. They add a elegant addition to any coat lapel or sweater. What an easy way to add a pop of color, warmth and sparkle to a cozy winter outfit! There you have it! Some of our favorite winter trends that you need to add to your wardrobe.